An emergency position indicating radio beacon (EPIRB) is an electronic device that, when activated, assists rescue authorities to locate those in distress. All recreational vessels heading out more than two nautical miles from the coast are required to carry an approved 406 Mhz EPIRB. However, it is recommended that all vessels venturing into coastal waters carry one. Only marine EPIRBs are accepted as safety equipment. These are designed to float in the water to optimise the signal to the satellite. 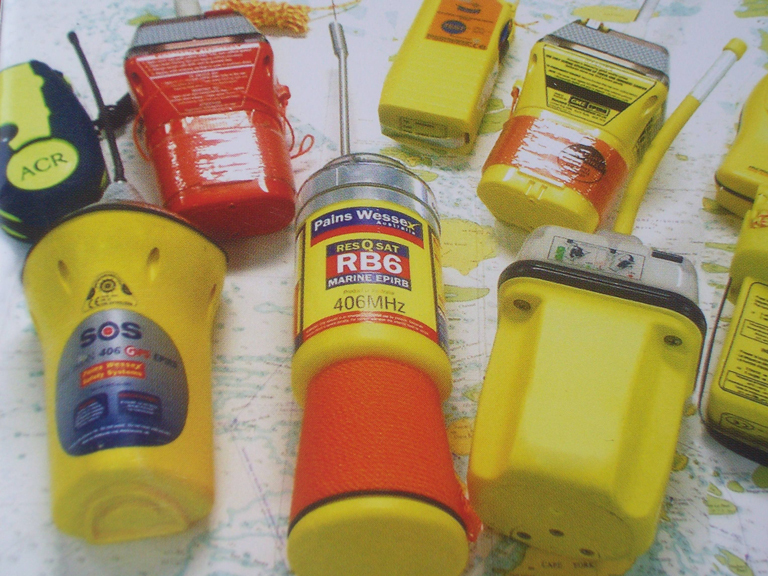 Emergency locator transmitters (ELTs) used in aircraft or personal locator beacons (PLBs) such as those used by bushwalkers, four-wheel drivers, other adventurers on land, employees working in remote areas, crew in boats and aircrew, are not accepted as suitable safety equipment for ships and boats. You must register your EPIRB with the Australian Maritime Safety Authority (AMSA). A registered 406 MHz beacon will allow the AMSA rescue centre to find nominated emergency contacts that may be able to provide valuable information to assist with a rescue. Registration is free and valid for two years. Once an EPIRB has been activated, leave it on until instructed by rescue authorities to switch it off. Your EPIRB is the best reference point for rescuers whose aircraft, vessels and vehicles may not be able to remain in the same location as you throughout the emergency. If you must abandon your vessel, attach the EPIRB to yourself, not the vessel. While EPIRBs are required by law to be carried when operating more than 2nm from the coast, we recommend operators on other waters also carry EPIRBs. More information about distress beacons can be found on the AMSA beacons website.